Boyes Botanics is a botanical styling studio, designing hand made plant terrariums with hand delivery in Edinburgh and South Queensferry. A Wee Spring Thing is a creative event, hosted by local creative folk. On Saturday 13th April, head along to the beautiful space above Century General Store (make sure you grab a coffee on the way!). Seven local designers will be selling their latest work. We have an awesome range of folk so there will be something for everyone! Join us for an enchanting Sunday afternoon creating your own fishbowl terrarium at The Garden in The Principal Edinburgh Charlotte Square. No experience needed! Kirsty will guide you through the layering process and provide you with materials so you can give your terrarium a personal touch. Including, succulents, stones, sand and preserved moss. If you have any special decorative objects or stones you would like to add to your terrarium, feel free to bring them along with you, just give them a wee wash first. Ticket price includes a delicious hot drink and some cake to help your creative juices flow. Join us for a relaxing Saturday afternoon at Out of The Blue Drill Hall, learning the art of designing a fishbowl terrarium. No experience needed! Ticket price includes a delicious hot drink from OOTB Cafe and some sweet treats to help your creative juices flow. We are running two workshops at the Makers Marque event at Out of The Blue drill hall. There will be lots of other amazing creative people there with stalls and workshops. 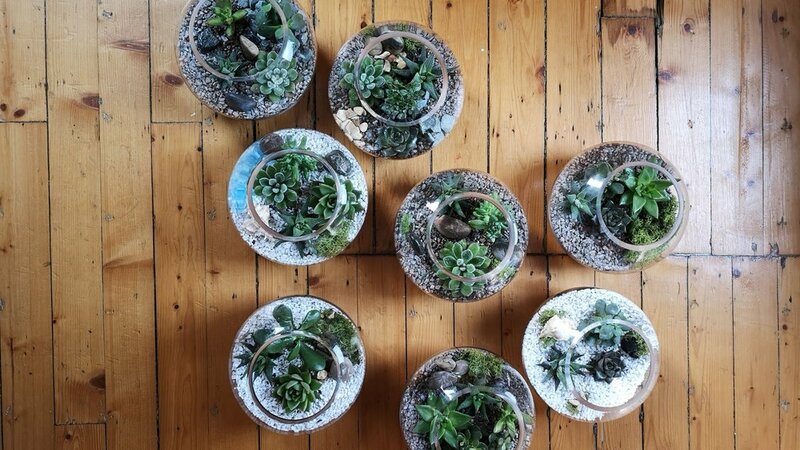 Terrarium Workshop at Leith Yoga, above Century General Store. Come and get your festive wreaths, terrariums and all things botanical! 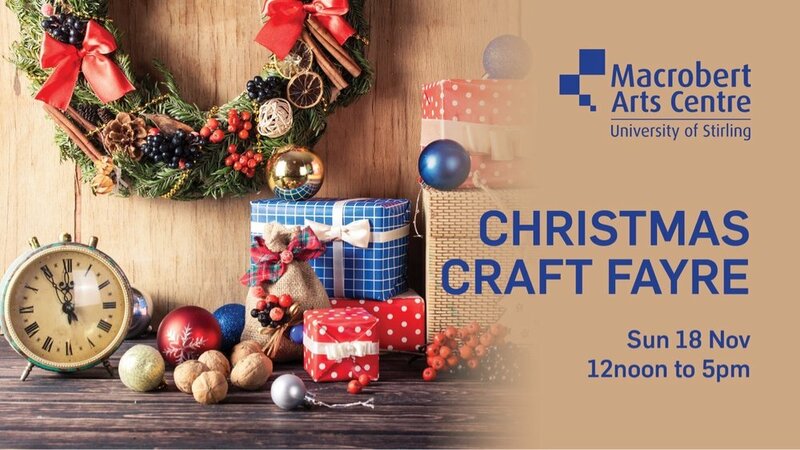 Join us at Out of the Blue Drill Hall and learn how to make your own traditional wreath with moss base. All materials are included, you will have a selection of foliage to work with and pine cones, cinnamon sticks and dried fruit for festive decoration. Ticket includes a complementary glass of mulled wine on arrival and yummy festive treats. £45 > book before midnight on 11th Nov & get £4 off! We are doing another wreath workshop on 6th Dec if you can’t make this one. 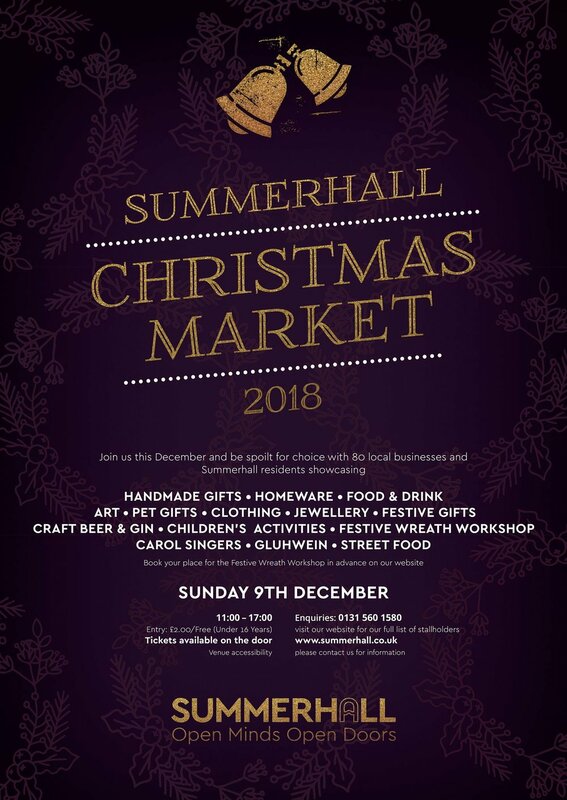 Find us at Summerhall this year along with lots and lots of other local businesses selling unique gift ideas. Head out to the Courtyard for some yummy food and drink if you need to energise for Christmas shopping! We are doing another wreath workshop on 13th Dec if you can’t make this one. Find us in the Glasshouse/Chapel at the beautiful Carberry Tower with wreaths and festive decor for your home. 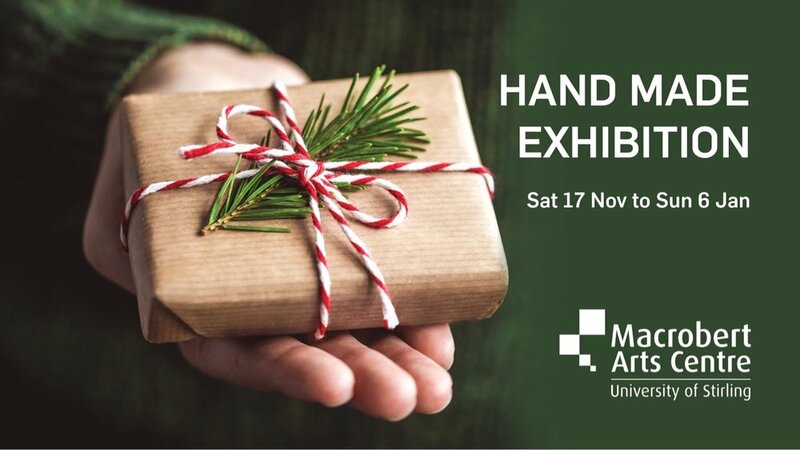 Drop-in for a browse through some unique arts and crafts created by Scottish-based artists. It's the perfect opportunity to do some Christmas shopping and treat yourself to something special! There will also be a range of work on display in the Arthouse as part of our Handmade Exhibition. We are one of seven local makers, come and visit our festive market! Join us for our first Morningside Makers Market! 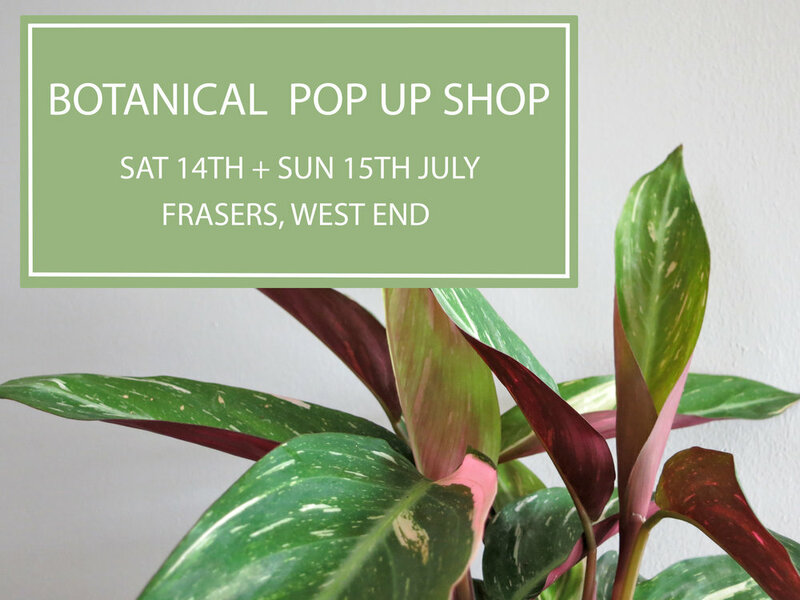 Our pop up shop will include; terrariums, houseplants, plant hangers, preserved moss panels. Get your hands dirty and create your very own low maintenance indoor garden, with Kirsty from Boyes Botanics. Come with a friend or come alone and join us for a chilled Sunday afternoon, learning the calming art of designing a fishbowl terrarium. No need to be green fingered to join in! If you have any special decorative objects or stones you would like to add to your terrarium, please feel free to bring them along with you, just give them a wee wash first. Head over to Harbour Lane Studio and book through the workshop page. Pop along to Edinburgh's West end and get yourself a beautiful new green friend! Find a great selection of amazing houseplants, indoor terrarium gardens and moss wall art all in various sizes. WHEN? Saturday & Sunday - two days only! 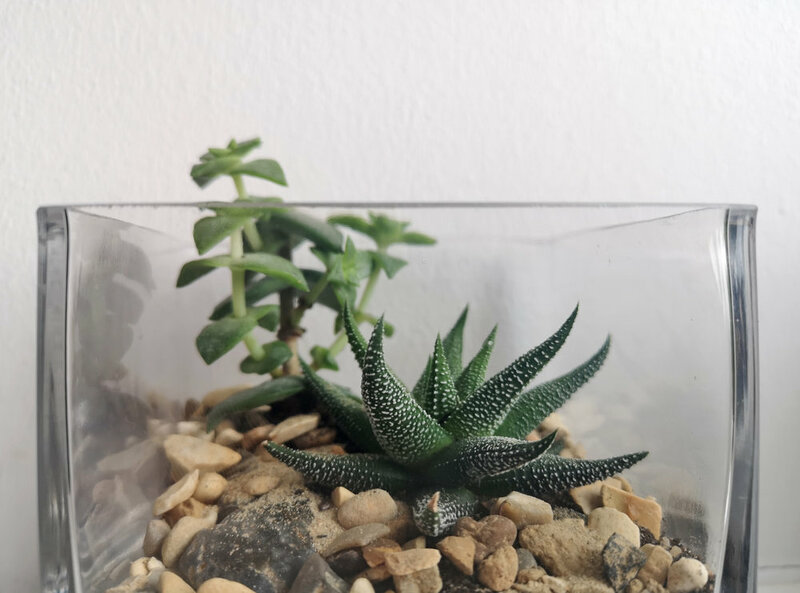 Visit our stall for hand made terrariums in various shapes and sizes and also macrame plant hangers. Come and find our stall at the Eric Liddell Centre Christmas Fair. We are hosting this Macrame Plant Hanger workshop at DOK Artist Space in Leith, with any profits going towards DOK's future. Join us for a morning of crafting at DOK and design your own macrame plant hanger. Learn a traditional skill that is not only therapeutic but perfect for beginners too. We will show you three knot techniques and you can choose the overall design of your plant hanger! Ticket price includes materials, tea and of course cake!